A Lucky Guinea? Define Lucky! RGPR have recently taken in an extremely distressed guinea pig with multiple problems. She had been ‘rescued’ from a ‘free to good home’ advert along with a large group of guinea pigs. However her behaviour led her new owner to enquire about the gender of his new pig. When put in with the other pigs she became very controlling and displayed boar like behaviour. There was no aggression from her but her behaviour led to friction amongst other members of the group. Along with rumblestrutting she was mounting the sows, walking around making ‘boar noises’, yet would squirt urine (sow like behaviour) at the castrated boar in the group. The sow was confirmed as a sow despite this behaviour but her Human was unable to keep her as she was causing upset in the group. As she was in poor condition and suffering from mites (a sign of stress perhaps?) and probable hormonal problems she came into rescue. 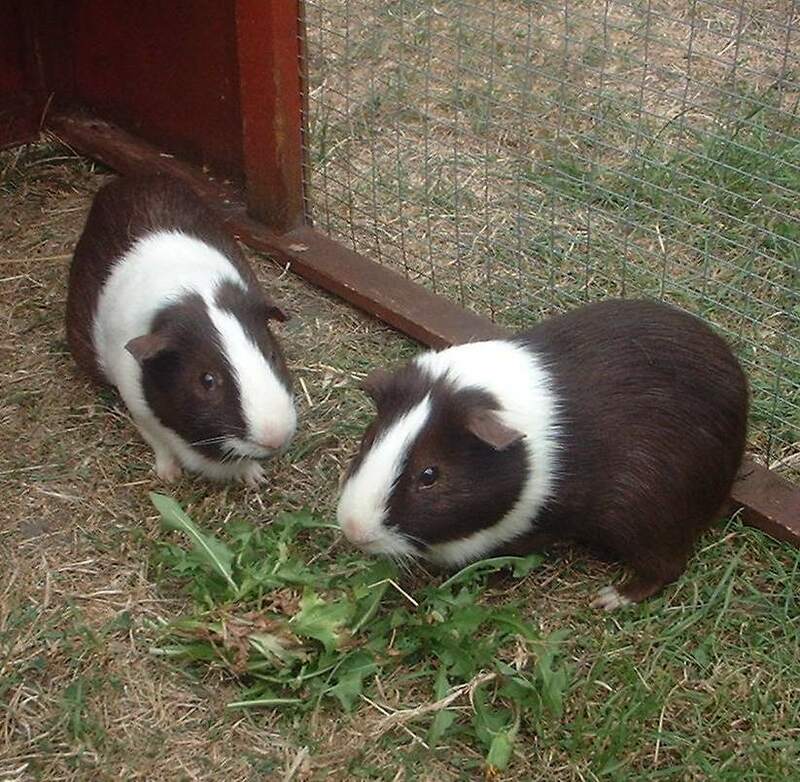 Her new home was a Cavy Cage on her own next to a large group of well socialised guineas who took no notice of her. The next day she visited our vet. She was described as being in ‘poor condition’ and having mites. Consultation fee £22.24, total cost so far: £57.24. She will be returning to the vet who suspects there may be a hormonal problem too. Gorgeous Guineas have offered to fund her treatment for any skin problems. Money can be thrown at those problems, but there is a lot of distress going on with this little sow, she is not finding socialising easy at all. However, she is going to remain here until she can be part of a herd and then move on to finding a friend that she can be rehomed with. There is no question of her being rehomed to live on her own or ‘within sight’ of other guinea pigs. That would be ignoring the obvious issues that she has and is against the RGPR policy of ‘quality not quantity’. Chrissie, of Gorgeous Guineas, who has met her, has named her Little Miss Lucky. I always had the intention of taking them in and rehoming them, despite being around 5 years. However as they were likely to only “appeal” to certain homes I asked Chrissie if she would foster them for me. This would give them a little more individual attention which would be nice if they didn’t find a home. Chrissie was happy to have them and after a short stay here they went to her. When Keenan was 5 1/2 he presented with symptoms suggesting a stone, he was rushed up to see James (our then vet) who confirmed a stone was indeed present but he wasn’t too happy about doing surgery when there was another way of helping the situation. Had Keenan been a dog or cat James would simply have “manually” moved the stone and without using anaesthetic. Although he hadn’t done this procedure on a guinea pig before he was keen to try it and convinced it was a good option. Keenan came home that day pain free (if a little sore), and lived another 6 months with his stone. The one time that he did become in pain again James simply moved the stone again until it wasn’t in a place that caused pain. 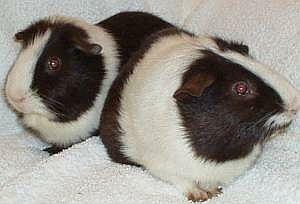 I will always look to rehome Senior pigs from RGPR, I believe that every guinea pig deserves to have a chance at having that second or third etc Human and the lifestyle and attention they deserve. Who am I to label them as “old” and ” not rehomable”? To me a guinea pig is “not rehomable” if the right Human doesn’t come along, whose fault is that? Certainly not a reason, in my opinion, to deny anyone a home and Human of their own. Kel in the background with Keenan in front. Keenan and Kel shortly after they arrived here, enjoying run time. On Sunday Goldie managed to spend a couple of hours out in the run with the group she has been visiting for small amounts of time during the wheek. However outside and indoors in a pen are 2 different places so when they were brought in Goldie went back into a C+C divide that was next to the group’s pen. Goldie insisted on trying to break in to be with them so when she had given up and moved over to her hay I cut the cable ties and left the rest to Goldie. In no time Goldie had ‘broken’ into the group’s pen and was busy eating their food. No one was suprised to see her and she didn’t have that need to harass them that had been obvious before. After ‘hanging around’ in the shed for a while to make sure everything was OK I left them to it with just a final late night check. Currently Goldie is living with the group and learning to socialise again, there is no mutual grooming going on yet and that’s an important step forward, but she is mixing with them. The next step will be to socialise her with rescue pigs and get her ready for rehoming but she needs to spend a while in this set up first before that can happen.